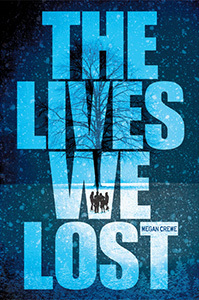 YA Bliss: Blog Tour: The Appeal of the End of the World (Guest Post by Megan Crewe) & Giveaway! Blog Tour: The Appeal of the End of the World (Guest Post by Megan Crewe) & Giveaway! I don't need to tell anyone that dystopian and post-apocalyptic stories are all the rage in YA these days. Since the release of THE HUNGER GAMES, there's been no shortage of corrupt governments, environmental catastrophes, and battles for survival on the Teen section of any bookstore. So why is the topic so popular these days? Well, I can't tell you why everyone else is into this genre. But I can tell you why it appealed to me, and make some guesses based on that. The main reason I started working on my own post-apocalyptic series was fear. A couple of nightmares brought on by books about killer viruses made me realize that epidemics scare me more than just about anything else. And immediately after I realized that, it occurred to me that I could probably create a pretty powerful story when writing about something I'm that scared of. 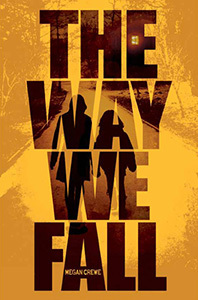 You could say that writing THE WAY WE FALL and its sequels was a way of facing my fears, exploring the worst and the best that could happen in a scenario I find terrifying. I suspect a lot of readers get something similar out of post-apocalyptic and dystopian novels. It's hard to exist in the world we live in without being confronted by fears about war, natural disasters, oppression, and all sorts of other evils. Following a character on a fictional journey through those conflicts can give readers an outlet and also a sort of proof that those problems can be solved. Most of these novels, after all, end on a note of hope. As scary as these situations are, they say, we can still overcome them in the end. Who wouldn't want to hear that? My other favorite part about exploring an apocalyptic scenario was the intensity it allowed. When characters are fighting for their lives or to keep their loved ones safe, they show sides of themselves they might never have otherwise, good and bad. The drama and tension run high, and that's always fun to write. It's also fun to read! The more intense the drama, the easier it can be to get wrapped up in it. But at the same time, I think the drama just reflects what many young adults really are experiencing emotionally. The teen years are an incredibly intense time, full of firsts and uncertainties as you challenge your childhood assumptions and find your place in the world. You could see many of the popular YA genres as representing very real teen concerns. Paranormal romance, the leading genre before dystopians took off, is a heightened version of the difficulties of loving someone you're not sure is good for you, or whom your friends and family disapprove of. Apocalyptic tales address the growing realization that the world isn't as stable and safe a place as it seemed to many of us as children. And dystopians recognize, as many teens are seeing for the first time, that authority figures can't always be trusted and sometimes must be challenged. In fiction we might set those struggles in imaginary futures or populate them with supernatural creatures. But that doesn't make the feelings in them any less powerful and meaningful. Like many authors, Megan Crewe finds writing about herself much more difficult than making things up. A few definite facts: she lives in Toronto, Canada with her husband and two cats (and does on occasion say "eh"), she tutors children and teens with special needs, and--thankfully--the worst virus she's caught so far is the garden-variety flu. You can find a more detailed biography on her main website. Megan welcome questions and comments from readers. Email her directly or visit her blog, Facebook page, Twitter, Tumblr, or GoodReads profile. 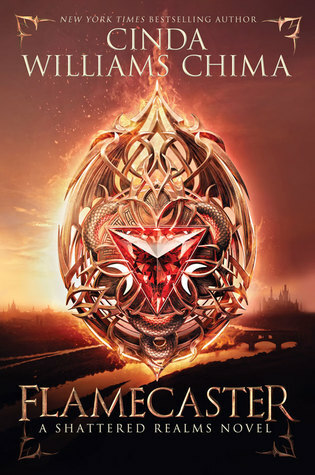 I have got to start this series soon. It sounds so good!